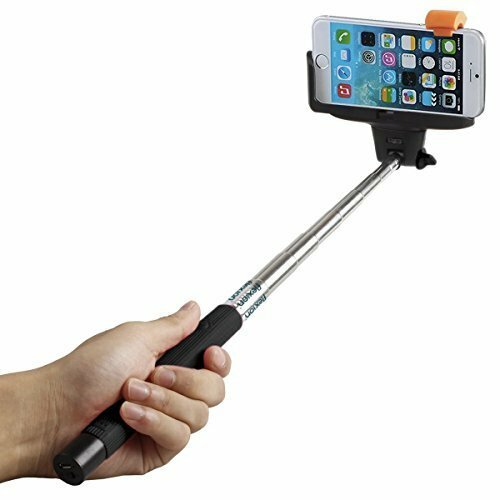 Selfie sticks are on the rise now, If you like having selfie stick and you use them on your travels or outside your home. We have 10 best sticks to show you which are available right now in the market. This stick uses Bluetooth to connect to your phone and is extendable up to 80cm. The stick weighs only 120g and is a good accessory to have. 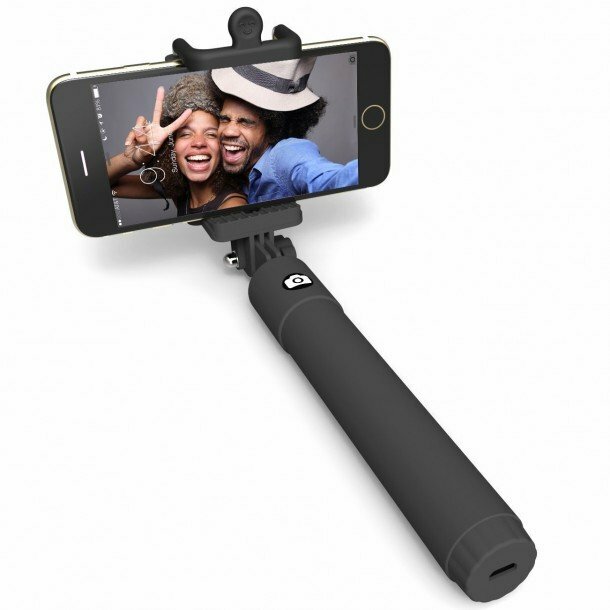 A wired selfie stick that connects to your phone’s audio jack. Wired sticks have their pros and cons; while they offer connectivity & speed, they can have durability issues, so be careful when buying. Though this stick has excellent build quality and is fitted a Bluetooth module at an affordable cost, we were not convinced with the camera shutter remote control. For starters, its small size means that it can easily be misplaced, and second it’s another item to carry around along with your phone & the stick. Anker is one of the best suppliers of smartphone accessories. 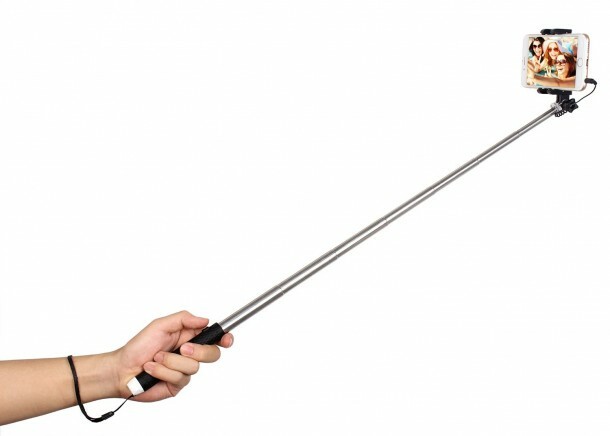 This Bluetooth enabled device comes with a wrist strap as well making selfies fun. 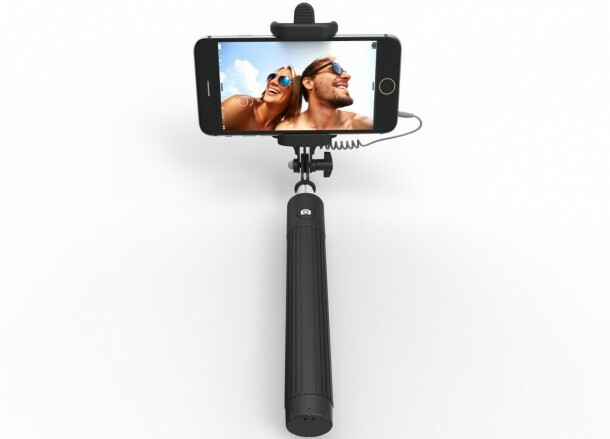 3.3-ounce selfie stick comes with a 3-month warranty. Safe to use ergonomics and a non-slip handle makes it easy to use. The stick works using a wired connection and extends 27.5 inches. 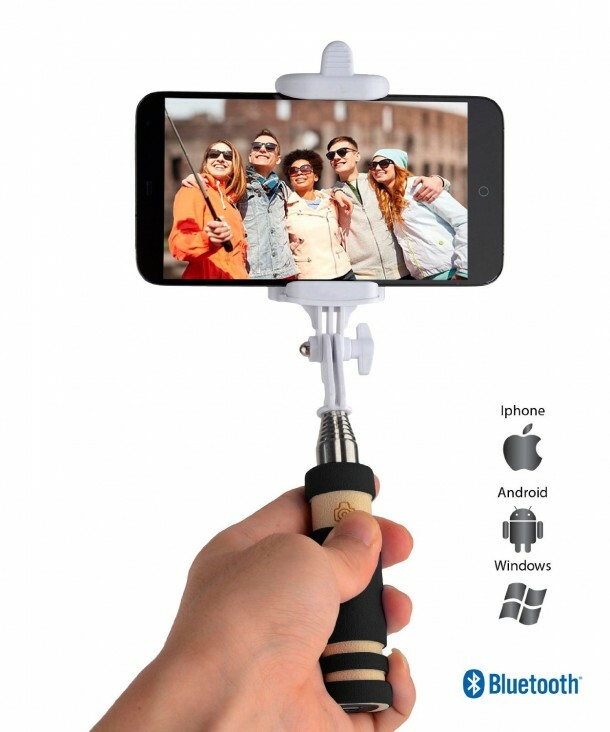 The selfie stick can extend as much as 3.5 feet. It uses a Bluetooth connection, and the charging cable comes in the package. An Amazon.com Bestseller can not have much wrong with it. This stick uses an AUX cable and can be used on the go. 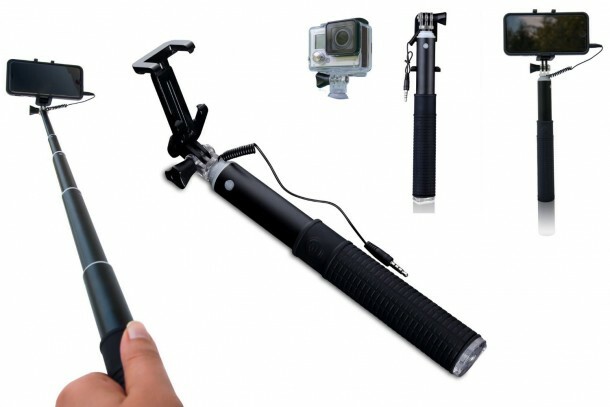 It possess’s a 270 degree adjustable head for a perfect picture. When closed this stick reduces to less than 7 inches making it ultra portable and while fully extended it fall just short of 3 feet. It has a built-in Bluetooth remote control and a decent battery life. 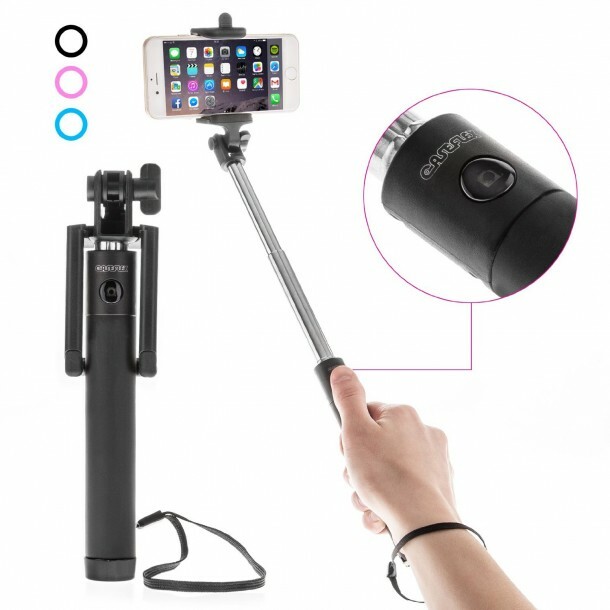 The most popular selfie stick, as it has nearly 3000 positive reviews on amazon.com. Light weight with a built in Bluetooth remote control. It is charged using a USB cable so you can use your phone to give it a bit of juice too.